Faisal Aziz, a young Emirati with special learning needs, joined THE One’s Office team on Sunday May 7, 2006. 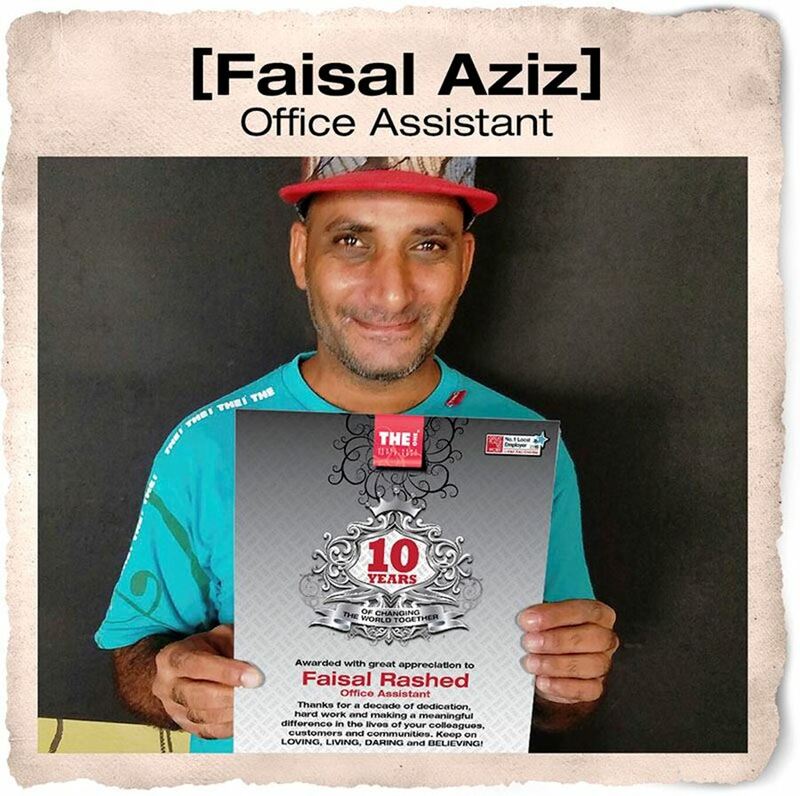 We ‘discovered’ Faisal during a visit to the Ministry of Labour’s Special Needs Centre and employed him to assist in routine cleaning tasks around THE Office for six hours a day, five days a week. Faisal had been going to a special needs school for most of his life and wished, in young adulthood, to integrate with society. He is doing a great job and we hope we can help him achieve this goal and much more.